The so-called "character actor" is usually relegated to supporting parts, and by supporting part we mean that his job is not to save the day, rather, he is there to make the Star look good. A character actor may not get the glory that a leading player enjoys, but he tends to have a longer lasting, more satisfying career. A character actress, however, is usually doomed to playing comic-relief roles (like the loud mouthed girl who cannot get a man). With all the pressure most actresses feel to become a leading lady, a genuine character actress is almost assured of steady work for as long as she wants it. 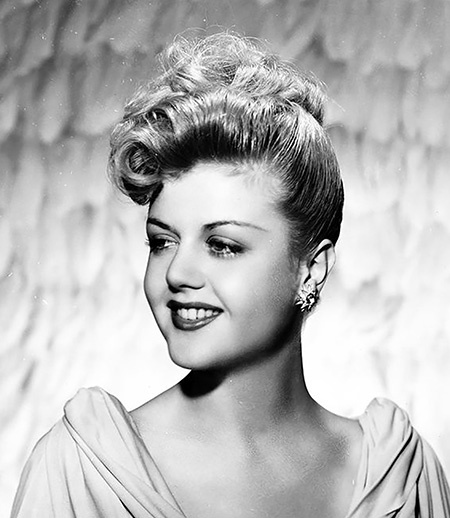 Angela Lansbury has been in the business for seven decades and is still going strong. 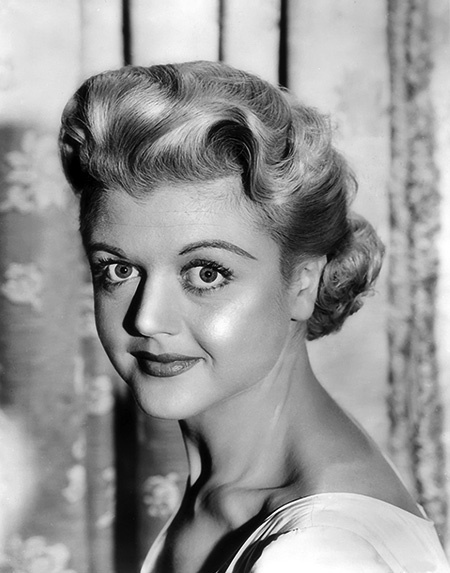 Miss Lansbury was born in Regents Park, London, 1925, not Poplar, as commonly reported (although she does assert to having ancestral connections to Poplar). Born into the upper-middle class, her father was a wealthy timber merchant and politician and her grandfather was Labour Party leader, the Right Honourable George Lansbury. Her mother was Moyna Macgill, a Belfast-born actress who also gave Angela an older step-sister, Isolde, from a previous marriage, and twin brothers born when she was four, Bruce and Edgar. Angela lost her father to stomach cancer when she was just nine, and she turned to playing characters as a coping mechanism. Seeking financial stability for her children, Moyna accepted a marriage proposal from a Scottish Colonel, Leckie Forbes, and moved her family to his Hampstead home. Although she was enrolled in South Hampstead High School, Angela considers herself to have been largely self-educated by reading books and watching as many movies as she could. The Colonel turned out to be a much sterner disciplinarian than expected, and with the onset of the Blitz, Moyna took the opportunity to evacuate to North America with Angela and the twins. Newlywed Isolde chose to stay with her new husband, actor Peter Ustinov. Moyna never contacted Forbes again. Since her refugee status did not afford Moyna a work visa, she took to presenting dramatic readings at private schools and eventually joined a troupe raising funds for the Royal Canadian Air Force. When the troupe disbanded in Vancouver, she went south to Hollywood and sent for her children to settle in Laurel Canyon. For a time, both Angela and Moyna worked at Bullocks Wilshire department store (Moyna was sacked for incompetence, leaving the family to subsist on Angela's $28/week salary). At a party thrown by her mother, Angela met playwright John Van Druten who had just completed a screenplay for George Cukor's Gaslight (1944). Druten helped Angela to land the part of the conniving Cockney maid, Nancy Oliver. Seventeen-year-old Angela obtained an agent and signed a seven-year contract with MGM for $500 per week. On screen, the young lady was able to hold her own against veteran players Ingrid Bergman and Charles Boyer (all three won Oscar nominations for their performances). In Angela's next picture, she played Elizabeth Taylor's older sister in the very successful National Velvet (1944), leading to a life-long friendship between Angela and Liz. Lansbury won high critical praise for her work in The Picture of Dorian Grey (1945) as well as another Best Supporting Actress nomination. In 1945, Angela married artist and set decorator Richard Cromwell. Although she did not know it until after their divorce less than a year later, Cromwell was homosexual and entered the marriage seeking a "cure" for his predilections. Angela was close to the LA gay community, having made a number of homosexual friends while working at Bullock's. She met fellow MGM contract player Peter Shaw in December 1946, and they soon became a couple and lived together for a time before she proposed marriage. The Shaw's were wed in London in August 1949, and they both gained U.S. citizenship in 1951. Angela finished her contract with MGM in predominately B-pictures and often cast in parts much older than her actual age. Director George Cukor commented that Lansbury was "consistently miscast" by MGM, and she instructed her agent to not seek renewal of her contract in 1952. Soon after giving birth to her son, Anthony, the same year, she joined the East coast tours of two former Broadway plays. Lansbury returned to Hollywood as a free-lance actress to find herself typecast as older women. "Hollywood made me old before my time" she quipped, receiving fan mail from people who believed she was in her forties before turning thirty. In 1961, she appeared as Elvis Presley's mother in Blue Hawaii, although she was only 10 years senior to the singer. She was cast as Eleanor Iselin in the Cold War thriller The Manchurian Candidate (1962), the mother of Laurence Harvey's character. Harvey was just three years younger than Angela. In 1961, Angela won the lead in the Broadway musical Mame, described as a "marathon role" (her character had more than twenty costume changes and ten songs). It was her first starring role, and although it catapulted her to nation-wide fame, the movie role went to Lucille Ball. Lansbury began to cut back on her film roles during the early Seventies (she had been offered the part of Nurse Ratched in One Flew Over the Cuckoo's Nest) and moved to Ireland with her husband and children. Anthony had become addicted to cocaine and heroin and daughter Deidre was on the fringes of the Charles Manson "Family". The move to Ireland came soon after the Tate murders. Lansbury starred in Disney's partially animated feature, Bedknobs and Broomsticks (1971), which helped to keep her in the public eye during her Irish exile. Angela reluctantly reprised Ethel Merman's role in Gypsy on Broadway in 1973 and won high praise for her performance. She played Anna in 24 performances of the revival of The King and I in 1978 and appeared with her former brother-in-law Peter Ustinov in Death on the Nile. In 1984, she began the role which she is best known for, novelist Jessica Fletcher of Cabot Cove in Murder, She Wrote. The "whodunit" ran until 1996. Now in her nineties, Angela Lansbury continues to work and is expected to appear in Chalk Garden in London. Lansbury was appointed Commander of the Order of the British Empire (CBE) in 1994 and promoted to Dame Commander (DBE) in 2014. Two Stars on the Hollywood Walk of Fame honor Angela Lansbury, one at 6623 Hollywood Blvd for her contributions to Motion Pictures, and another at 6259 Hollywood Blvd for Television. Be the first to comment on "Angela Lansbury"